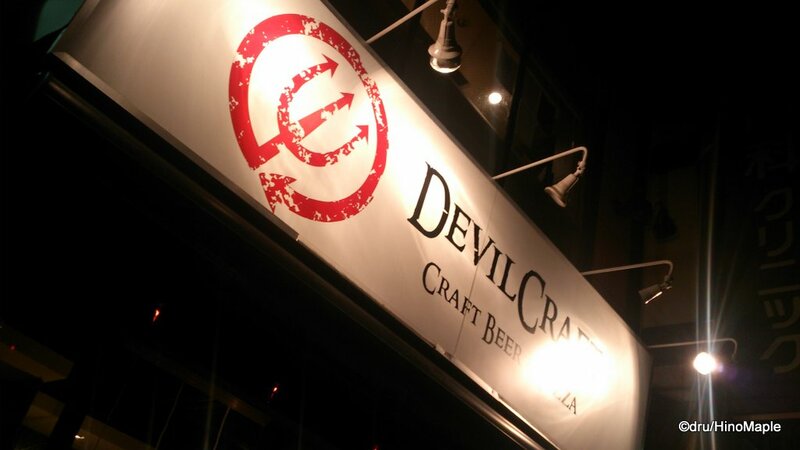 Earlier this year I wrote about my first experience going to Devil Craft. I’m happy to say that I have been there a few more times now. It is a place that I enjoy visiting and I can’t wait to keep going back there. Devil Craft has even grown since the last time I wrote about it. Their Kanda shop is still the original but they have a new Hamamatsucho shop that opened earlier this year. The Hamamatsucho shop is probably just as busy but I’m afraid I can’t really report on that. This time I’ll focus more on Devil Craft itself rather than my own experience, although this report will definitely be laced with my own experiences there. The Kanda location of Devil Craft is a tricky location. It is located in an area with few people. A lot of people will walk in that area but it is very easy to get lost looking for Devil Craft. I have had a lot of friends looking for the restaurant only to completely miss it. I haven’t had any problems after my first time there and I can remember how to get there by heart, but it is a little tricky to explain how to get there, especially from Kanda Station. The first thing you need to do is start at the south exit. The south exit leads towards Devil Craft but you need to cross the street. Once you cross the street, you need to know which street to take. There are a few and the small street that isn’t along the tracks but goes somewhat along the train tracks is the way you want to go. The signs for Devil Craft are also hard to see until you are actually there. There are no large signs telling you that you are on the way to Devil Craft, but there is a large sign on the front of the restaurant, which you can’t see until you are almost on top of it. While the location is hard to find, it is in a quiet location so you can enjoy the peaceful walk to and from the station. The Kanda restaurant has 3 floors. The first floor is the bar and it is almost always busy. I have yet to sit there and I am still eagerly awaiting my first visit to that area of the bar. It is a little cramp and I’m sure it is a little annoying with people passing through there all the time, but it is a nice looking bar. The second floor is where most people will go as it is the general seating. There is a nice large table that can seat up to 8 people, cozily, but 6 would be pretty comfortable. The regular tables are probably best for 2 people each and if you are unlucky, you’ll be at the window which is a bar like seating area. They really cram people in to that floor. The third floor is the party floor. 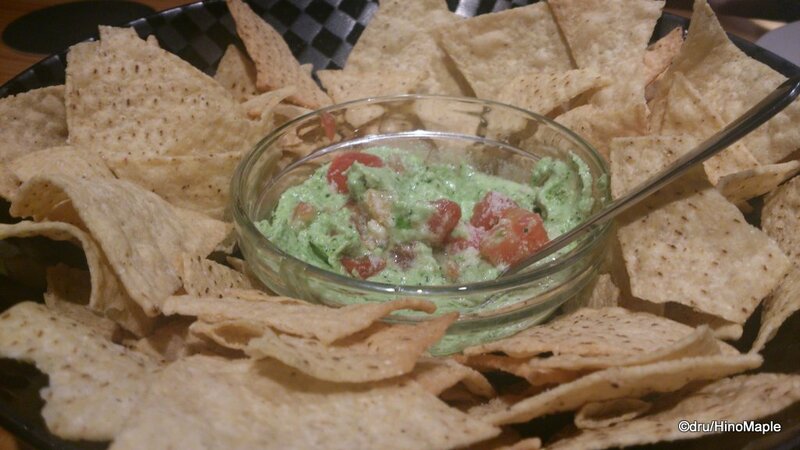 It isn’t too special as it has a bunch of tables and it is usually reserved for parties. It can seat a minimum of 15 people and up to 20 people if you have a big party. I was lucky enough to go there a couple times and it is a good place for a party. It is private and the only bad seat is in the corner where you can’t really see anyone. 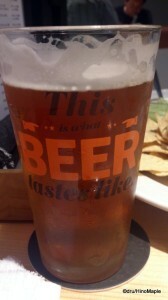 As always, the beer is the main attraction for me. I go to Devil Craft because they have a lot of great beers on tap. 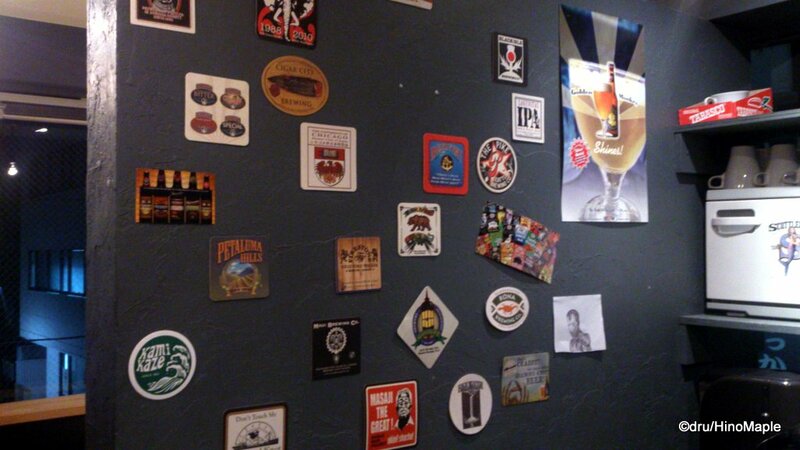 The Kanda shop has 15 beers on tap and Hamamatsucho has 20! 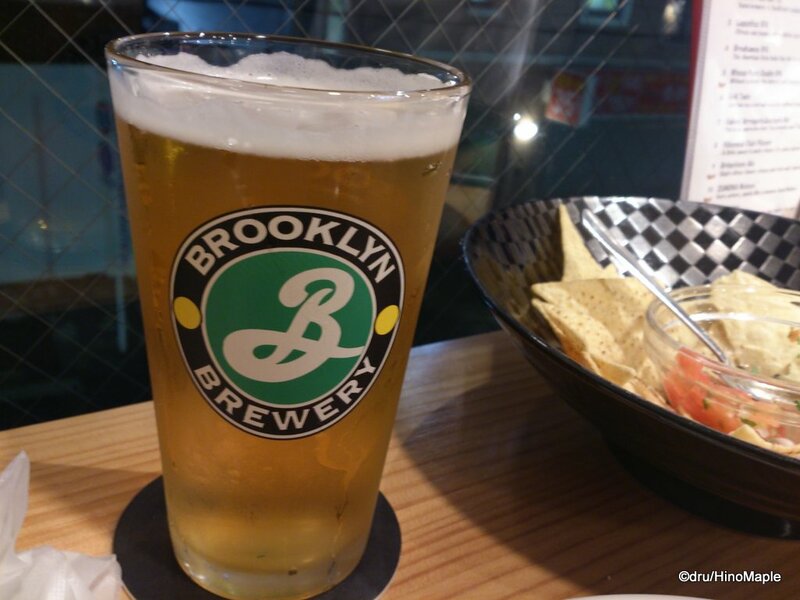 Half of the beers tend to be foreign based craft brews and the other half hail from Japan. Some of the choices are from bigger name breweries and the Kanda branch tends to always have a Hoegaarden and Asahi Juken on tap. It is difficult to remember what you are drinking and the pints are generous. The prices are not too expensive for Japan at an average of 1000 yen a pint. Thankfully Devil Craft is very foreigner friendly with menus in both English and Japanese. The beer menu is also in English so you don’t have to worry too much about what you are getting. I try to read both but it can be a challenge with the Japanese so I often end up reading from the English. You sometimes have to be lucky to have your favourite beers as the beers on tap are regularly changed and once they are gone you never know when they are coming back, if at all. It is difficult to know what you will be getting but I do enjoy the beers a lot and I almost always go for the Japanese brands as a personal preference. The craft beer in Japan has improved a lot over the years and I’m not afraid of trying Japanese beers made from craft brewers. Devil Craft has maintained their quality over the year that I have visited. I think I have been to Devil Craft about 4 times this year and I am always looking forward to going back there. 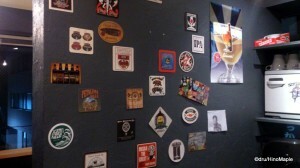 While the food is getting a little tired, I still love going for the beers and seeing what new beers they have on tap. The only shame is that I can’t try them all. It would be great if I could get a flight of beers so I could find the one I like the most. 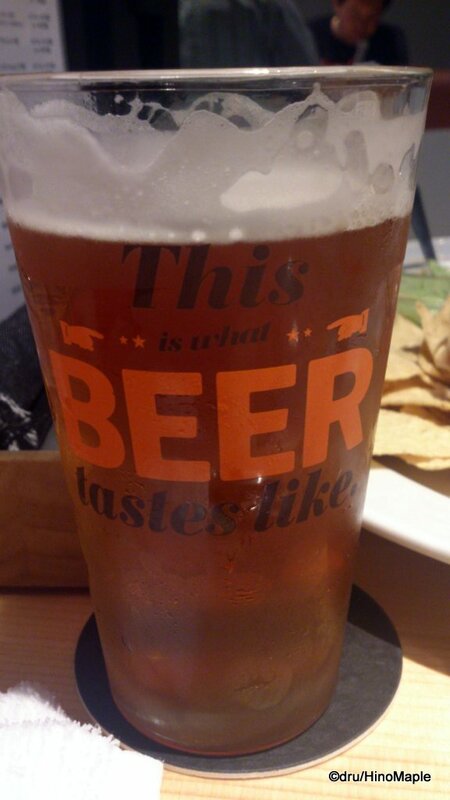 At the same time, I enjoy drinking pints. I do have to try to convince my friends to try the other pizzas from time to time but getting a Meatzilla is still great and delicious. If you are in Kanda or Hamamatsucho, do check out Devil Craft for the good pizzas and beer. You may need a reservation but you could get lucky if you are there during the off peak times. 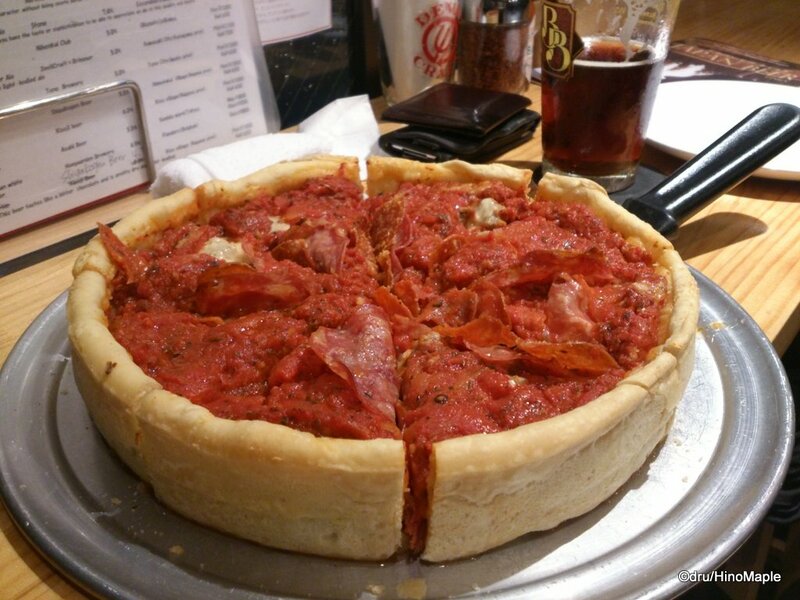 This entry was posted in Tokyo Food and tagged beer, Chicago, Chicago Deep Dish Pizza, craft beer, Deep Dish Pizza, Devil Craft, Hamamatsucho, japan, Kanda, Nachos, pizza, tokyo by Dru. Bookmark the permalink. Popped in for a hallo after several days’ absence and silence. Working working working. I need a beer. No, make that a double whisky, neat.